23 years of Bold and the Beautiful in 6 minutes. Categories: Entertainment & Pop Culture, Television | Tags: Bold and the Beautiful, soap opera, Television | Permalink. Betty Draper’s Guide to Parenting. You know what my big plans are for the weekend? Cranking up the a/c, grabbing a nice cool drink and watching the entire 3rd season of Mad Men. Oh yeah, I know how to party. NY Magazine on the other hand, is celebrating the return of Mad Men with a film montage of Betty Draper’s fine parenting skills. Watch it here. Categories: Entertainment & Pop Culture, Television | Tags: AMC, Betty Draper, Mad Men, season 4, Television | Permalink. In honor of the return of Mad Men. Buzzfeed has the 25 Best Pictures of Mad Men’s Christina Hendricks. You’re welcome. Categories: Uncategorized | Tags: AMC, Christina Hendricks, Joan, Mad Men, Television | Permalink. 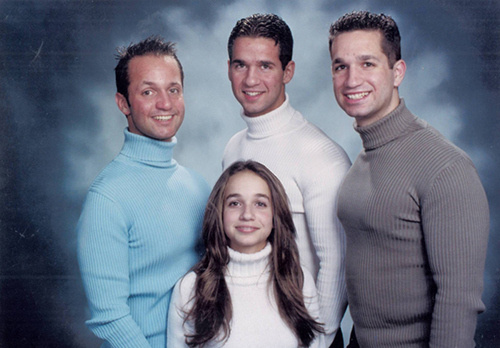 Categories: Entertainment & Pop Culture, Television | Tags: family photo, Jersey Shore, Jezebel, Television, The Situation | Permalink. I really have nothing to say about this new View-like series except, HOLY HELL, when did Sara Gilbert become an adult and a mom too? I feel old. 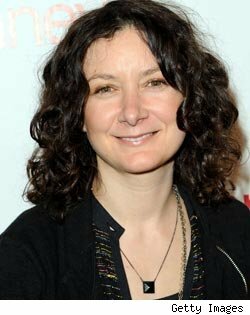 Categories: Entertainment & Pop Culture, Television | Tags: Sara Gilbert, talk show, Television, View | Permalink. 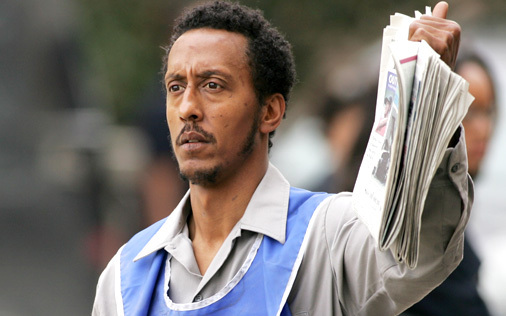 Andre Royo(Bubbs) will guest star in the season premiere of Fringe, my new favorite show. He will join fellow Wire alum Lance Reddick(Lt Daniels) who plays FBI Agent Phillip Broyles. If you haven’t seen this show, pick up seasons one and two on DVD and get caught up because you do not want to miss a thing when the show returns in the Fall. Categories: Entertainment & Pop Culture, Television | Tags: Andre Royo, Fringe, Lance Reddick, Television, the wire | Permalink.